Avifauna is the word used for birds specific to a region. 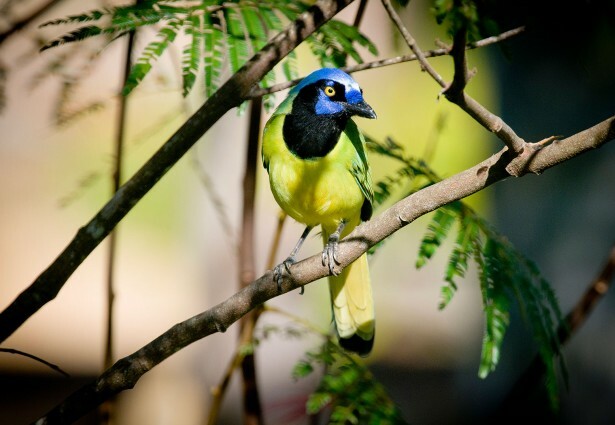 Conservationists believe that Hidden Valley Reserve is home to approximately half of all Belize's avifauna. Among these species are an impressive number of rare birds that have come to be known as Hidden Valley's "Big 5." Strong talons and a bright orange breast are the hallmarks of this beautiful, medium-sized raptor. 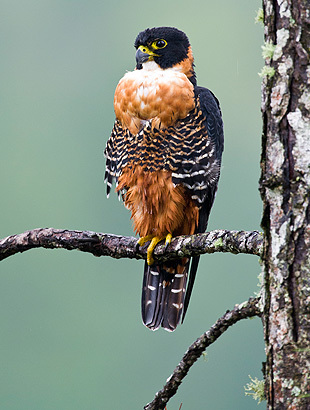 The orange-breasted falcon has made its home in the towering steeps and forests of Hidden Valley. Territorial in nature, and with a low reproductive rate, the species is in dramatic decline. However, the orange-breasted falcon can be seen sweeping out over the vast and verdant ravines of Hidden Valley as they routinely nest next to the 1,000-foot falls. The Peregrine Fund, a group of conservationists studying these raptors on The Reserve and in Guatemala, believe there are about 30 pairs in this area of Central America. Decline of these birds is due to loss of habitat. See the Peregrine Fund's video on the Orange Breasted Falcon here. A medium to large dark colored owl, the Stygian has a blackish beak and yellow eyes, feathered legs and bare toes with long ear tufts. 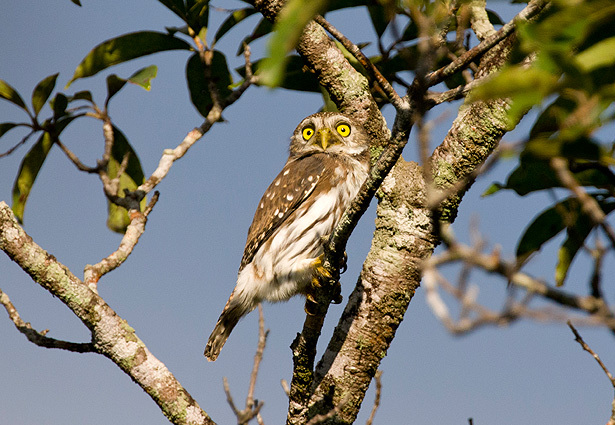 Essentially a nocturnal bird, the Stygian Owl roosts in the dense forests during the day and is more active in open vegetation, hunting at night. It is said to feed on bats, birds and small mammals and it is thought that the Stygian Owl nests on both the ground and in trees. 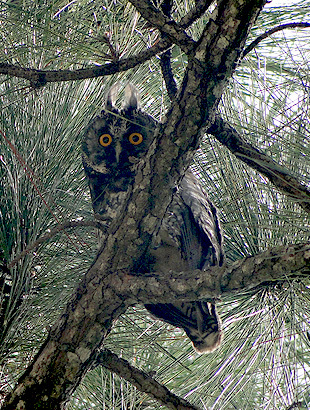 Stygian Owls appear to be restricted to the Mountain Pine Ridge area of Belize. See the Belize Raptor Institute's "Quest for the Nest" here. 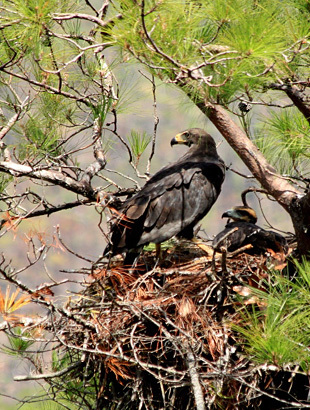 The main habitat of the Solitary Eagle is the forested mountain areas of Central America. Dark and gray with white markings on the tail, this is one of the rarest and least known birds. The Solitary Eagle has been seen at Tiger Creek Fall, although sightings are rare. A large and distinctively marked raptor, the Black & White Hawk Eagle is hard to confuse. The neck and body are white with bright orange eyes accentuated by darker coloring around the eye sockets. Its wings and back are black and its tail feathers barred black and white. 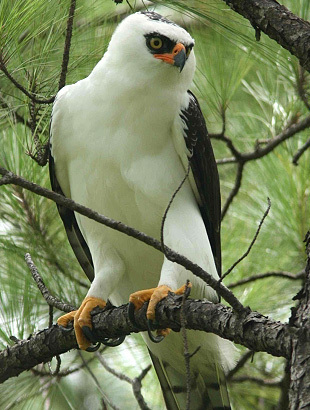 The Black & White Hawk Eagle has been seen at King Vulture Falls. 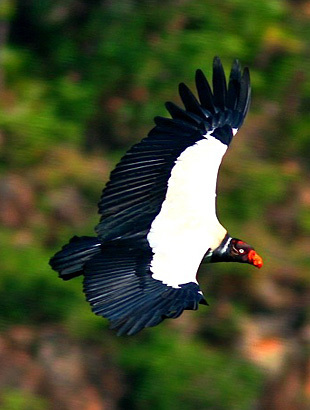 Nesting near the waterfalls named for them, The King Vulture makes its home in Hidden Valley. The King Vulture has colorful markings that distinguish it from other vultures, including colorful heads with black, red, orange and yellow. Scavengers, their strong curved beak helps in their feeding.